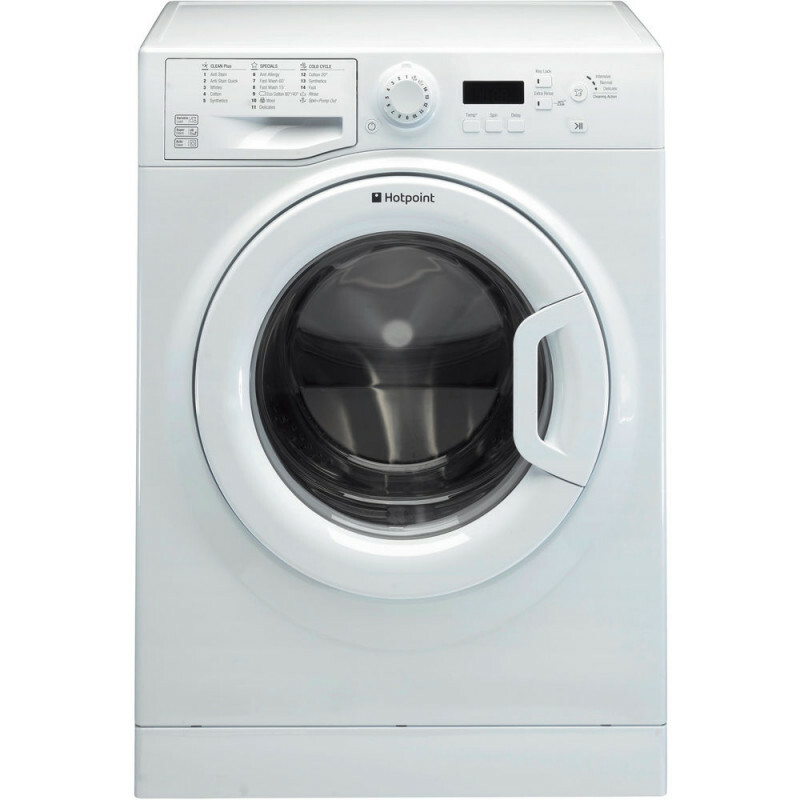 The Hotpoint WMBF742P has a variable spin up to 1400rpm, and also has 7kg load capacity so you can get through all of your washing. This washer has a very low energy consumption with a A++ Energy Rating, ideal for keeping costs down. And thanks to it's 24 hour delay timer you can run this machine at all hours of the day. You have every tool for the job with the WMBF742P thanks to it's 16 programmes such as Cottons, Synthetics, Fast wash (15' and 60'), Anti-Stain Technology, Anti-Allergy and Woolmark Green. You'll have a solution to even the toughest stains with machine. This comes in a classic White finish and is a standard size measuring at a height of 850mm, width 595mm and depth 540mm. 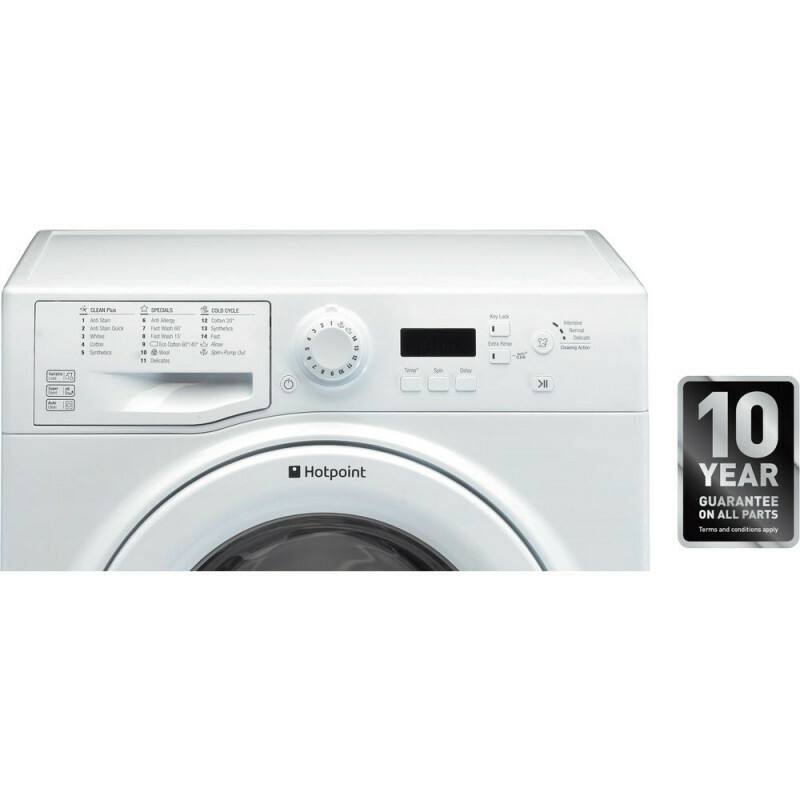 To give you piece of mind Hotpoint give a 1 Year Labour, 10 Year Parts Warranty. 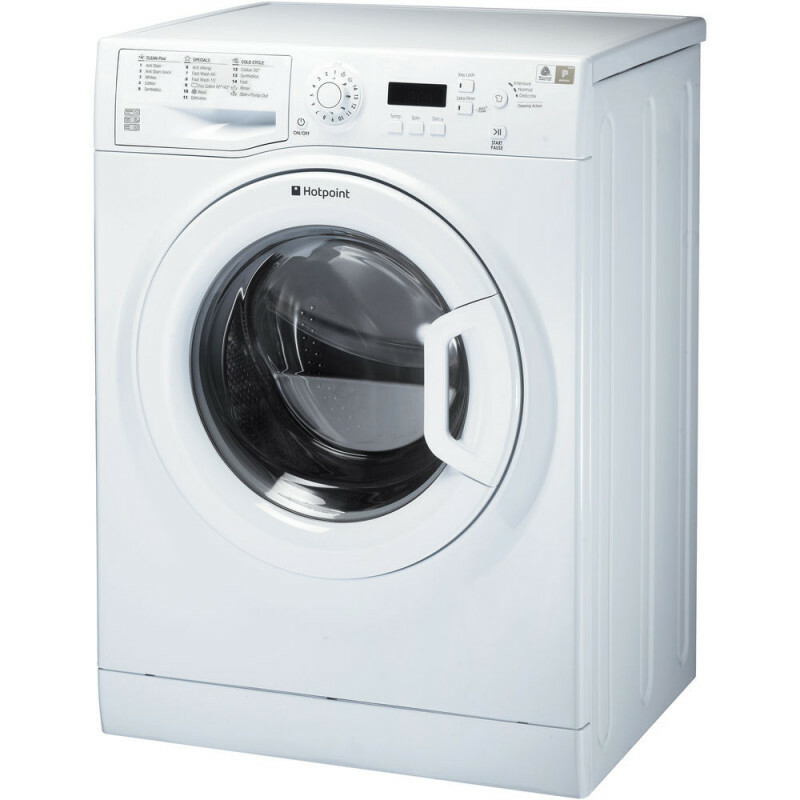 Call into our Lutterworth showroom in Leicestershire to see our large range of washing machines, we offer rapid FREE delivery and a professional installation service. Additionally we can disposal of your old appliances. Our trained installers will run a test cycle before they leave and demonstrate how to use your new washer.